Lots of work again. 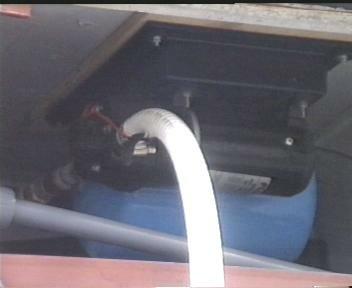 I have now installed the four 500 liter tanks: 2x water, 1x graywater, 1x black water. 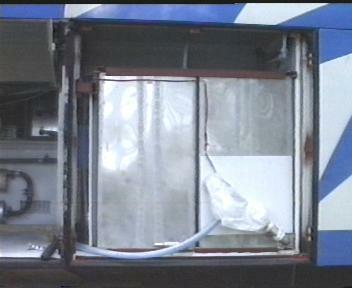 Masserating pumps to pump out the waste. 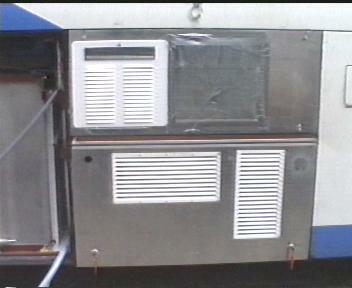 Pump for water pressure. 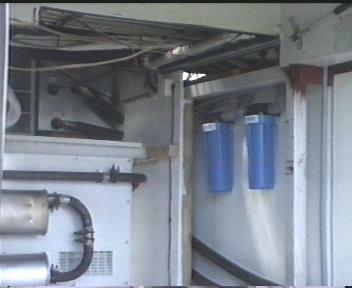 Two water filters in parallel to filter water before it gets into the water tanks. 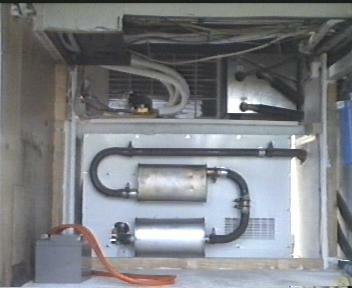 7 Kilowatt diesel generator is installed and working (a Mase Voyager 8000, from Italy). 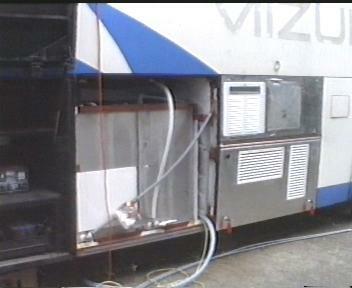 A Fujitsu Airconditioning system is partly installed; this is a standard house unit, with an inside and outdoor unit; but the outdoor unit is installed inside de bus (behind the temporary plastic cover, and you can see it from the back inside the bagage compartment, above the generator). And I have _two_ inside units, one in the livingroom and one in the bedroom. They are switched, so only one can work at a given time. 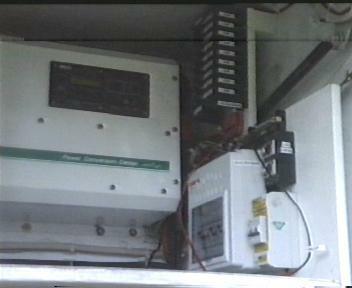 About 15000 BTU, and using 1.3 Kw of power. This makes it possible to run the bedroom unit during the night on battery power (!) on a dutycycle of 50% and still have power left the next morning. 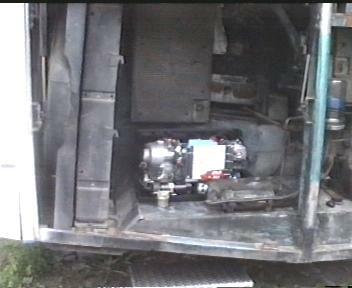 Then the generator/invertor can recharge the batteries in 4 hours (at 250 Amps!). 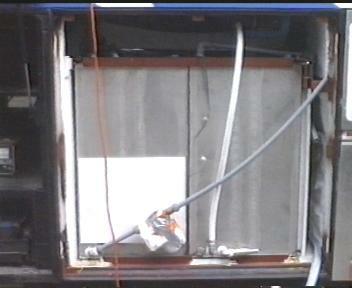 A PrecisionTemp water heater is installed and working (USA). This heater is computer controlled and only heats when water is required. 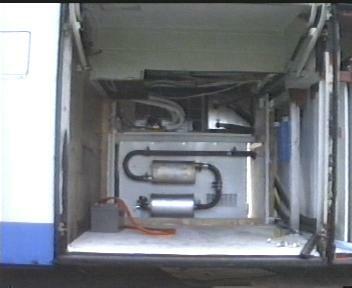 Also installed is a new ProHeat (Canada) diesel (water) heater for the heating in the bus. I finally decided to throw out the old Webasto unit, because it was running on 24 volt. 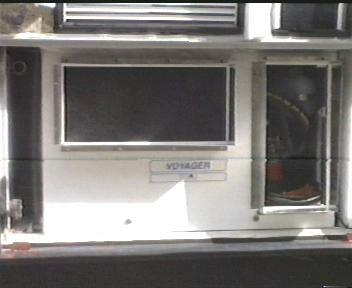 The ProHeat X45 heater is computer controlled, and used less fuel (and runs on 12 volt). 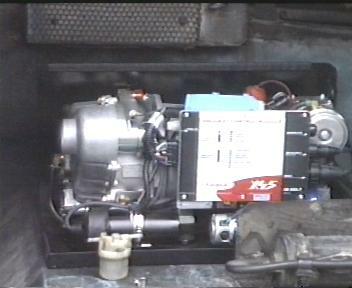 Finally finished the power system; the 12 volt circuit breaker unit is now complete and active. Pfff. Almost ready to put the floor back in!